Previous Tunnels in the Alps have been built as high as possible to reduce the length of the tunnels. 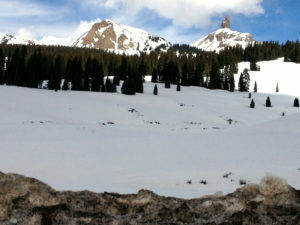 This required trains to go around a circular climb to gain altitude and reduced speeds. The original rail tunnel was completed and opened in 1882. 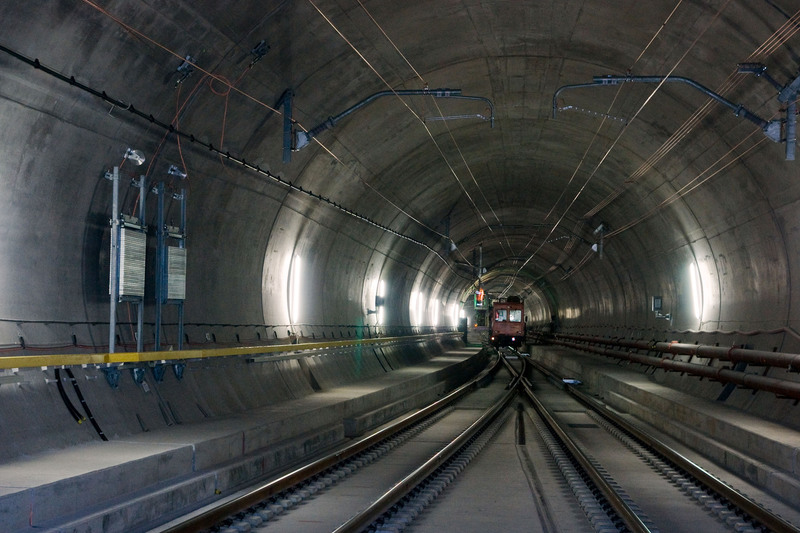 This new tunnel at the base of the Gotthard massif consists of 35.4 miles of tunnels (compare to the Crossrail project in London of 26 miles), and operates at a flat 550m above sea level allowing trains to operate at high speed (160mph, 260km/hour). Because this is a “base” tunnel – it is the deepest and longest rail tunnel in the world. The tunnel is due to open in June 2016. Watch the news item here, and read the opening report here. The tunnel consists of 2 single track rail tunnels to ease congestion, encouraging freight to move to rail rather than lorries on the important Rotterdam – Genoa route. The project was conceived in the early 1990’s and put to the Swiss at a referendum in 1992 (where 64% in favour) and work began in 1996 (first tunneling work commenced in 1999) with an estimated completion of 2018. The revised expected opening of December 2016 had now been brought forward to June 2016. As with all projects of this size, there are political reasons, and Switzerland (not part of the EU) negotiated with the EU regarding freight amounts, tax on freight lorries, and the maximum weight of each lorry. Costing £7.3 billion, the project is actually just one of a programme of Swiss transport improvements funded by the tax on HGV’s. Mega-Projects take many years due to their shear size, but still need planning, scheduling, and resourcing like any other project. However with a Mega-Project care has to be taken with risk management due to the long-timescales involved.